Meanwhile, the prince from Kekaya, the maternal uncle of Bharatha, approached Dasaratha and represented that a long time had elapsed since he came from his kingdom. "Father is waiting to see me back. He would have been very happy to be present here during these festivities. He does not know about the wedding of Bharatha. He would be very disappointed when he comes to know that the marriage of his grandson was celebrated in his absence. That disappointment can be assuaged to some extent if Bharatha is sent with me now, so that some festivities might be arranged there for his satisfaction and pleasure." Dasaratha consulted his wives and called Bharatha to his presence. "Son! Your maternal uncle, Yudhajit, had come to take you with him from Mithila itself, I did not agree. I have come to know that your grandfather is very anxious to see you. So, make yourselves ready to accompany him", Dasaratha ordered. Then Bharatha said, "Father! It would be very good if Satrughna too comes along with me". So, he was also ordered to prepare himself to leave. And, both of them left for the city of Girivraja, with their wives. Moved by his respect towards elders, Bharatha made preparations to leave Ayodhya, with his wife. No objections were raised, or arguments presented against. Bharatha was endowed with the highest intellect; besides, he was master of himself, his senses and desires, Bharatha and Satrughna, with their wives, journeyed quite happily, and reached the city of Girivraja. The grandfather was longing to see him and fondle him, and inquired about the health and happiness of people in Ayodhya; he asserted that they looked exhausted by the long hours of travel and insisted that they should rest; he led them to the residences allotted for them. From that moment, he treated them more affectionately than his own children and paid close attention to their smallest needs. Though the grandfather cared for their comfort and joy, the brothers appeared to suffer from some secret discontent; for, they could not bear separation from their aged father and Rama, who was the very breath of their existence. They conversed among themselves constantly only about Dasaratha and Rama. Off and on, anxiety about the health and welfare of the father tormented them, in spite of themselves, and deprived them of peace of mind. While their feelings in Girivraja were such, in Ayodhya, not a single moment passed without Dasaratha pining for them. He sensed a void without them. Many times, he asked himself the question, "Why did I send them from here? O, it would have been good if I had not agreed to send them". The four sons were as four arms for Dasaratha. Now he had been deprived of two. One day, Rama saw his father plunged in thought, at the separation from Bharatha and Satrughna. He approached his father and sitting near him spoke soft and sweet words, making him happy. Rama was supremely gentle. However harsh others might speak, he used to reply soft and sweet. Though others might do him harm, he never remembered it against them. He only sought to be good and be of service to them. Whenever he found time he used to discuss with aged monks, revered Brahmins and learned scholars, codes of good conduct and rules of morality. He analyzed the mysteries of Vedantic thought in simple words and like an ordinary enquirer, he posed problems before pundits for elucidation. The sages and scholars who had mastered the science of Vedanta and philosophical enquiry were elated at the elaborations given by Rama of the knotty points he himself raised; they praised in a thousand different ways his intelligence and scholarship. Rama spoke to his subjects even before they spoke to him; so ardent was his love towards them. He lovingly inquired about their welfare and was full of sympathy for them. So, the subjects too loved him as their staunchest friend and dearest kinsman, and they revered him for his affectionate interest in them. Rama followed strictly the various rules of living, dictated by tradition, whatever the inconvenience or discomfort. To whomsoever he spoke, he had a charming smile on his face, a merry twinkle in the eye and lasting sweetness in his words. No one noticed the slightest trace of anger, dislike, despair or hate in his face. He was the embodiment of compassion and sympathy. He was full of eagerness to rescue those who surrendered their wishes to his will. Undesirable habits to which royalty is an easy prey never dared approach him. He was not a victim of the evil habits of garrulity and dalliance. In spite of this, if any one displayed before him his cleverness in argument, he would never fail to foil him by cleverer counter-argument and put him in his place. He never knew illness of body or anxiety in the mind. He recognized the needs of the people and, even before they represented them to the ruler, he considered the response that could be made and remedied the grievance, after taking the permission of Dasaratha and making the ministers interested in the solution. 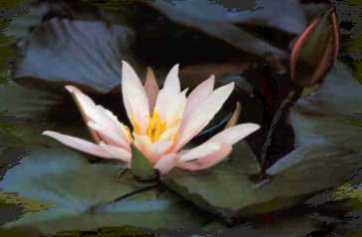 Dasaratha too did not obstruct his wishes in any way; he put them into execution the moment he came to know about them. Rama paid detailed attention to even the smallest detail of administration and took adequate precautions to see that problems and complexities do not raise their heads once they had been solved and set right. Another quality which was evident in Rama was: He never revealed in advance what he had resolved in his mind. Until it took final shape no one could make out his will or wish. And his anger or resentment, or his satisfaction would never be futile. He would not delay or allow himself to be diverted or deceived. With such supreme characteristics, Rama shone in glory. Dasaratha was delighted observing the way Rama was winning the love and loyalty of his people. He heard from ministers, priests and others the growing popularity of Rama and was thrilled. One night, Dasaratha was thirsty and he desired to drink a little water; he did not like to awaken the sleeping queens; so, he poured out himself into a small cup the water from a jar near the bed and while drinking it, he observed that his grasp was not firm; the fingers were shaking! He had no sleep after that. His mind sank into a variety of thoughts. Finally, he inferred that old age had brought on debility; he decided that he should no longer rule over the empire. Any attempt to govern the people without strength of limb and will can only spell confusion and calamity. He was counting the minutes so that as soon as day dawned he could communicate his resolve to his ministers. At last, night melted away and there was light. Finishing his morning ablutions and completing his rites of daily worship he directed the chamberlains to call together the ministers, the leaders of the people and the priests for a special meeting at the Palace. Bowing to the command of the Emperor all whom he wanted gathered very soon, and awaited him. Dasaratha fell at the feet of Vasistha and informed him of the happenings during the night and the stream of thought that they aroused in him. He said that he had decided to place the burden of Imperial administration on Rama. He prayed that no objection be raised against his proposal. He wanted that all arrangements be made soon for the realization of his desire. The chief among the Ministers, Sumanthra, announced this decision to the gathering; the ministers, courtiers, citizens, priests and scholars who were gathered there, acclaimed the news with joyful approbation. They cheered, 'Subham; Subham!' ("0 most auspicious! Fortunate are we"). Their applause reached the heavens. Vasistha rose from his seat and said, "Emperor! you need not worry over this in the least. Rama is in every way fit for this great role but we can well afford to wait a little and celebrate it on a grand scale inviting all those whom we wish to be present. I suggest that we wait for a month or two, so that the Coronation of Rama is done as magnificently as we would like to." But, Dasaratha exclaimed, "Mahatma! Nothing is beyond your ken; you are omniscient. When the king loses strength of limb, he does not deserve to hold the reins of high office. It is a bad sign when a king, whom old age has debilitated, entertains the greed to continue on the throne. It indicates avarice in the heart. Knowing all this, if I oppose it, I would have failed in the duty I clearly envisage. Pardon me; do not try to adjourn this ceremony. 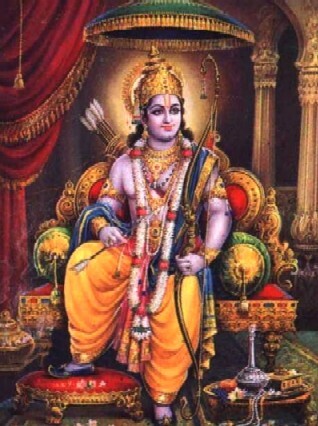 Grant me permission to appoint Rama as the Yuvaraja (heir-apparent) within the next two or three days". Dasaratha pleaded thus, in great humility and with deep reverence. Vasistha lifted Dasaratha up and conferred blessings on him. He said, "0 King! The wedding of Rama too happened on the spur of the moment! It dropped from heaven as Grace. So the people of the kingdom, your subjects, had no chance to share in the joy of that momentous occasion. If the Coronation too is resolved upon and celebrated suddenly, it would pain not only the rulers of many parts of this land, but, even more, it will be a source of great sorrow for the brothers, Bharatha and Satrughna. And Janaka who has become your kinsman and friend might not be able to attend! I suggest, therefore, that you may well ponder over these considerations before settling the date". The chief among the Ministers then rose and said: "May the revered family Preceptor pardon me! The decision of the Emperor has the appreciation and approbation of every one. Ramacandra is, as the name indicates, as the Moon, which repels the burning heat and restores coolness and comfort to all. He removes the pain caused by hate, malice, greed and envy. There should not be any delay in crowning him as Yuvaraja, for whatever reason. Please issue necessary orders on this behalf, O Emperor! I am praying for this, on behalf of the entire population of this empire". When the Emperor and the Chief among the Ministers pleaded like this, Vasishta could not hold on to his attitude any longer. He said that it was necessary to know what the people themselves thought about it. At this Dasaratha stood up and with one sweep of his eye, he looked at the ministers, leading citizens, pundits and priests, as well as others of the vast assembly. The assembly was acclaiming the auspicious proposal in a voice of thunder! In the midst of that excitement, one citizen, who belonged to a very important group, rose and exclaimed, "Maharaja! The mighty emperors of your line fostered us, the subjects of this empire, as if we were their own children. This Kosala realm attained prosperity and peace through the care and affection of Ikshvaku. Your eldest son Rama is rich in virtue, highly devoted to the ways of righteousness, as heroic as the Chief of Gods, and more than all he has the ability to rule over the three [triloka] worlds. It is indeed our good fortune that you entertain the idea of crowning him as Yuvaraja. This is undoubtedly our fortune." When the citizen spoke thus, on behalf of all the subjects of the realm, Dasaratha addressed the gathering, "Members of this Assembly! I have all these years ruled over this empire along the path laid down by my forebears and guarded its welfare and prosperity to the best of my abilities, with a sincere desire to promote the good of the entire world. All the years of my life I have spent under the shade of this White Umbrella [sathwic way of life: pure, equal and steady and detached] that is over my throne; I am now an old man. I have realized that the vigour and vitality of these limbs have declined. This dilapidated body has to be given a little rest. I have decided on this. It is not an easy task, not an insignificant minion, to rule over a kingdom, for it calls for dedication of oneself to Dharma or Righteousness. Dharma can be maintained unbroken in the running of the government only by a person engaged in constant Sadhana and who is endowed with rigorous control of the senses. I have borne this burden so long that I am exhausted with the effort. If all of you approve and appreciate my plan, I shall tell you all about it. I shall never act against your desires and preferences. "There is no pressure on you; do not fear that I am forcing my wishes on you, or that this is a royal command, which you have perforce to obey. I leave you to your own free will and judgement. In case some other arrangement strikes you as more beneficial, you are at perfect liberty to present it before us for candid consideration. Therefore, confer among yourselves and inform me by nightfall what you have agreed upon". Even before Dasaratha concluded his address, the assembly became restive and excited, as a flock of peacocks under a cloudridden sky that promises copious thunder showers! They shouted aloud their assent, their gratitude and their joy, in unmistakable terms. "You desire just what is our own desire. We do not want any other gift; give us this gift. 0 this is indeed great good fortune. 0 Good Luck! Yuvaraj Ramachandrajiki Jai. Jai Dasaratha Rama." The acclamation rent the firmament. Listening to the popular acclaim, Dasaratha was tossed between joy and apprehension. He stood petrified by this spontaneous outburst of loyalty and affection. Recovering composure after some time, Dasaratha gazed upon the assembly and started speaking: "Members of this Assembly! No task is more important to me than acceding to your wishes. I shall, without fail, crown Rama as the Yuvaraja. But, I have some little apprehension too. I want to explain it to you and receive from you consolation on that point. I desire that you should tell me your correct assessment and give me the satisfaction I crave. The fact is while I was about to lay before you the proposal to crown Rama as Yuvaraja, even before I spoke about it, you proclaimed that I must crown him without fail and that he had unbounded capabilities to rule over this realm efficiently and well. Looking this fact in the face, it is obvious that you are a little dissatisfied with my rule, or that some of my laws are against your interests or inclinations. Or, did I exhibit any tendency opposed to Dharma? Are you yearning for the coronation of Rama as Yuvaraja because you doubt my ability to govern you for your good? I invite you to point out my faults or the errors I have committed, fearlessly and fully. I welcome this frank recital". At this, one of the peoples leaders rose and replied, "The capacity and intelligence of Rama are beyond description. And, you, 0 King, are equal to the God of Gods; you are like Sankara (Siva), with the same divine compassion and readiness to confer whatever is asked on behalf of the subjects. You are Vishnu in your ability to protect us. We must be awfully vile and wicked if ever we cast aspersions on your rule. Those who do so are atrocious sinners. You have arrived at this resolve, since you are eager to do us good, and you are anxious to make us happy. We obey unquestioningly your command". At this, Dasaratha turned to the Chief Priest. "0 Greatest among Brahmins! you have heard the expressions of the wishes of the people. Do not delay any further; collect all the materials and ritual requirements for the Coronation Ceremony", declared Dasaratha, thrilled with the excitement of anticipation. "Erect the enclosures and the platforms that the scriptures prescribe for the component rites, the sacrificial sites and other sacred structures", he said. He fell at the feet of the Family Preceptor, Vasishta, requesting him to supervise the process. "Master! All those who can make it will be present; let us not delay, awaiting those who have to come from afar. They can derive equal joy when they hear that Rama has been crowned. Do not suggest, as a reason for postponement, the need to invite the Kekaya ruler or Janaka and wait until they arrive. Grant permission to have the holy rite of Coronation performed as early as possible", he pleaded and prayed with folded hands. "Maharaja!" Vasishta responded, "I have got all things ready; we can get going as soon as you want. I have directed that the hundred sacred pots, the tiger skin, the covered sacrificial enclosure with its adjuncts, the materials laid down in the scriptures for the rituals of worship, the herbs and flowers, will all be available by dawn tomorrow. Nor is this all. I have intimated the four wings of the armed forces to be in good trim; and also the elephant, Sathrunjaya, the one which has every auspicious mark that the Sastras lay down, to be caparisoned most magnificently; the White Umbrella of Splendour, the Royal Flag of the Imperial Dynasty will also be ready at the Palace. The auspicious moment too has been selected; it will be tomorrow". When Vasishta announced the good news the populace was overcome with grateful ecstasy; they leaped in joy. The roads were scrupulously swept and cleaned; elaborate designs were painted on them and on the walls and buildings facing them; festoons were hung; arches and awnings and shades were erected over the roads; every citizen was busy and happy. The entire city was working fast and excitedly The Brahmins and the leading citizens took leave of Dasaratha and emerged from the Palace, a veritable stream of exhilaration and excited conversation. The ministers and Vasishta proceeded into the Inner halls with the Emperor. Dasaratha sent for Rama, and meeting him in the Durbar Hall, he explained to him all the ceremonial formalities and rituals connected with the Coronation. He reminded him that he should be ready before sunrise, and described the preliminaries he had to observe. Lakshmana heard the news; he ran towards Kausalya, the mother, to convey the joyful tidings and communicate his exultation. She could not contain her happiness; she just waited for Rama to appear before her. There was very little time before them; so, the entire city was agog [full of intense interest] with excitement. The villages around for miles and even neighbouring states, knew of it pretty soon, for good tidings spread quick and fast. And no one waited for another; no sooner did he hear than he hurried forward to the Capital City. The flow of humanity along all the roads leading to Ayodhya became an uncontrollable surge. Ramachandra listened to what Dasaratha was detailing to him, but he did not reply; his feelings were beyond words. He could not express what passed in his mind; he stayed silent. So, Dasaratha accosted him; "Son! why is it that I do not see in you any sign of joy at the prospect of your being crowned tomorrow as Yuvaraja? Do you not like to become Yuvaraja? Or, is it a sign of anxiety or fear that we are placing on your head the burden of the State?" In spite of long questioning, and fond appeals, Rama appeared tongue tied before the Emperor. At last, he said, "Father! I do not understand why you are acting in such hurry. My dear brothers, Bharatha and Satrughna, are not here now. Again, grandfather is far away and he may not be able to reach in time. Father-in-law also might not be able to come. And, rulers of other States, Princes, the vassal Kings - they too may find it difficult to attend. My mind is heavy because we are disappointing such large numbers of people. It does not accept the idea of celebration when so many are certain to feel pained". Pleading pardon for his sentiments, he fell at the feet of Dasaratha. It was Vasishta who replied. "Rama! These objections were raised even by us; do not think that we quietly acceded to the wish of the Emperor. We thought of all the arguments for and against, and we consulted the opinion of the people before we decided. Do not raise any objection now; respect the wish of the Emperor; the Coronation and the anointment have to take place tomorrow itself. You have to observe certain vows; this day you should not use a cot or a soft bed. You and Sita have to be on fast. As soon as day breaks, you must both take bath, after applying sacred oil on the head; for, the auspicious star Pushya which has been selected for the holy rite rises at that time. So, retire into your residence now, without demur". As soon as the Preceptor finished, Rama fell at the feet of his father and of Vasishta and proceeded to his palace, accompanied by Sumanthra, the trusted Minister. He had no hesitation this time. He conveyed the news to Sita, and thence moved on fast to the apartments of his mother. He prostrated before her; she raised him tenderly, and fondled him affectionately, overwhelmed with joy; she directed him to give away to Brahmins, as a mark of thanksgiving, cows which she had collected for the purpose and which she had decorated with costly ornaments. She made Rama give away many other varieties of gifts to others. Lakshmana and his mother were there, at that time. Kausalya had Rama seated by her side and wiping the tears of joy that flowed freely she said, "Son! I had long awaited this precious moment; my yearning is now fulfilled. I am happy; my life is rendered worthwhile. 0 dearest jewel! My golden son! From tomorrow, you are the Yuvaraja! Live long, rule over the empire, let the welfare of the people be ever your ideal; may your rule be happy and secure, in accordance with the dictates of justice and morality; accumulate untarnished fame and maintain the reputation and glory earned by the kings of this line; attain might and majesty more than even your father. The day you achieve that position, I would feel that my life has attained fruition; my vows, fasts and vigils would have then borne fruit". Kausalya, the mother, caressed Rama, stroked the curls of his hair and spoke sweet words of benediction. She gave him very valuable counsel, to which Rama paid meticulous attention. Rama chuckled at Lakshmana and teased him in innocent fun. "Brother! Can you tell me which Rajyalakshmi will be delighted at this lovely taunt?" He reported, "Brother! I need no Rajyalakshmi to wed me. In your kingdom itself, if you assign any responsibility, I shall fulfil it; that is enough fortune for me". With that, he prostrated at Ramas feet! Rama said, "Lakshmana! You are my breath. So, half the responsibility in governance is yours. So, you too should get ready, with me, wearing jewels and regal robes. You have a half share in my burdens, and in my happiness, my fame and fortune. You have a half share in all that I am and will". While Rama was speaking thus, Sumitra was shedding tears, and showering blessings on both Rama and Lakshmana. She said, "Rama! The love that subsists between you and Lakshmana gives me great happiness. My son needs no higher status than being your servant. If he is able to have for ever your love and affection, that is enough for him". When she finished, Rama fell at the feet of the mother and rose. Lakshmana too did the same and accompanied Rama to his palace, when he moved towards it. The vow of ritual fast was begun by Rama at nightfall. He lay upon a mat made of the sacred kusa grass.